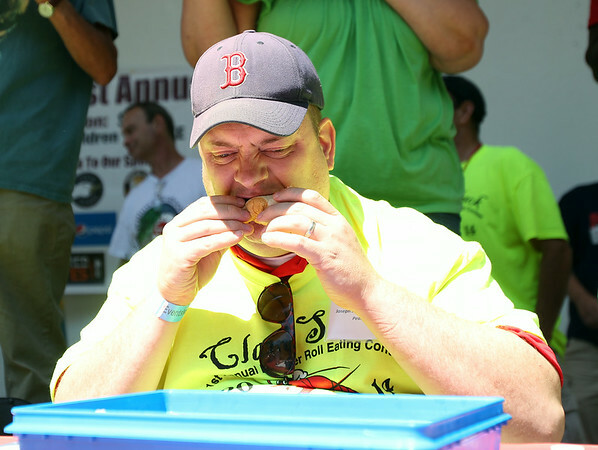 Joseph Kameese, of Peabody, bites deep into a lobster roll during the Lobster Roll Eating Contest during the first Salem Willows Seafood Festival on Saturday afternoon. Kameese won the competition, downing 9 lobster rolls in 10 minutes. DAVID LE/Staff photo. 7/12/14.